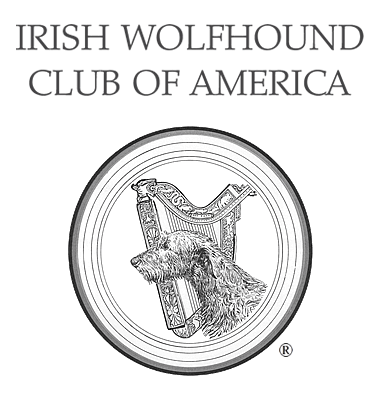 Cancer - Irish Wolfhound Club of America, Inc.
Osteosarcoma (bone cancer) has historically been one of the leading causes of death in Irish Wolfhounds. Initial signs include limping, unwillingness to put weight on a limb, and a lump on the affected limb. Irish Wolfhounds are fairly stoic about pain, so by the time symptoms point to bone cancer the dog may already be experiencing muscle atrophy and the cancer has spread metastatically to the lungs. Fortunately there is a great deal of research going on in osteosarcoma in Irish Wolfhounds. The Broad Institute at MIT is actively researching genetic markers for osteosarcoma in hopes of one day having a test for the responsible genes so breeders can make more informed decisions. This reasearch is supported by the IWCA and other regional IW clubs through contributions to Irish Wolfhound Foundation grants. The first scientific paper from this research has been published, and the second phase is in progress. Research is also going on concerning improved treatments for osteosarcoma. The standard treatment protocol is amputation of the affected limb, followed by chemotherapy to address the metastases. Even if lung metasteses are not visible on xray, they are assumed to be there microscopically, and once the primary tumor is removed the metasteses begin to grow. Due to the great size of the IW, owners are usually reluctant to have a dog's limb amputated. Other treatment options include radiation (with or without chemotherapy) and pain management. New studies are looking into novel treatments like vaccines for metasteses after treatment of the primary tumor. Another cancer which appears in Irish Wolfhounds is lymphoma, a cancer of the lymph system. The first signs are often vague (fatigue, inappetance), and cancer is not suspected until lymph node enlargement is found. Conventional treatment is chemotherapy, as in any other breed of dog.